« Space Pens are Here! Quality and Affordable. Ever find yourself sitting at the beach in your beach chair or sitting in the car wondering where to keep your things close by? Maybe you are an elderly person that walks with a walker and wish you had a bag to hang on to it to hold the things you want to carry with you. Now there is a bag for all those needs and more. Any where you go, you can take this bag with you and hook it onto anything. 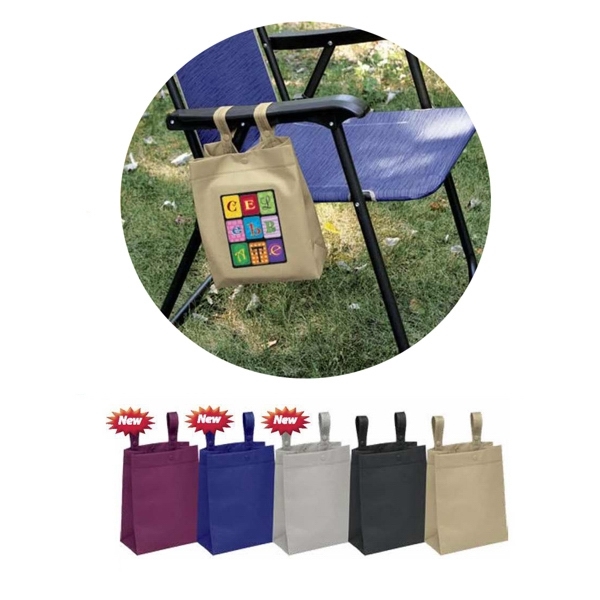 The straps open up so that they can wrap around a pole or chair, and then closes back up. Great for sporting events, the beach, or just plain walking around. Available in assorted colors shown.